With back-to-school showing up online and in stores, I'm part shocked at how quickly summer is flying by and part excited about the preparation process. There's just something about crisp, new notebooks, sharp, colorful crayons, and shiny, clean shoes! But while the main decision for colored pencils is between a box containing eight or a box containing 10, children's footwear is a category that is vast and large. Designs, quality, colors, brand, fit... the list goes on and on and, to be honest, the options all start to look the same to me after a while. 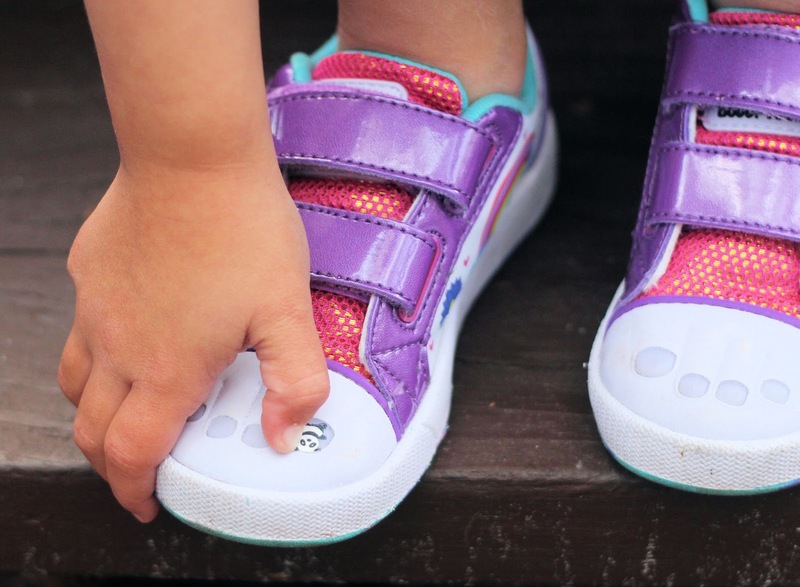 However, when it comes to finding kids' shoes that are just as unique and fun as my children, I always know that I can find just what we're looking for from Bobbi-Toads! 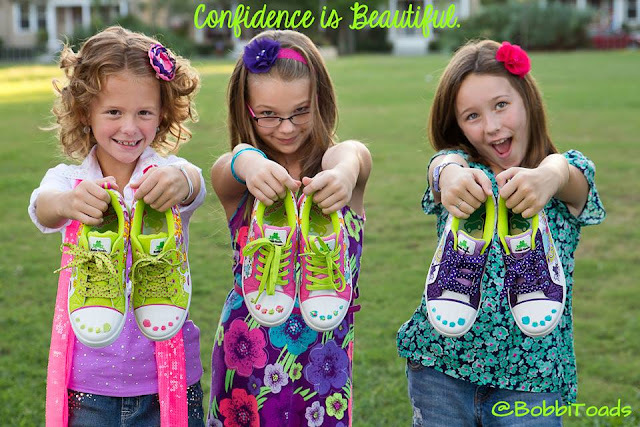 We were introduced to Bobbi-Toads back in 2013 and were immediately intrigued and amazed with the way that these creative shoes provided fashionable girls an innovative way to dress up their footwear. Each of the different styles were not only adorable and colorful, but featured "toes" on the rubber end that could be painted over and over again! You can't tell me that you've ever seen shoes like these before! But Bobbi-Toads hasn't stopped with their paintable shoes, they have now debuted a second collection that offer 'All the Flash without the Splash,' the new Bobbi-Toads Light-Ups! These new kicks still include Bobbi-Toads' signature "toes," but instead of painting them, they light up in five different colors with each step! Just take a look at how cool and fun these are! Did you catch that extra layer of customization available for these shoes? Bobbi-Toads doesn't just have their footwear light up, they offer girls the ability to make them completely their own with Bobbi-Stickers, the nail stickers that can be applied to the Bobbi-Toads or right on their own real nails! Whether you have a girl in your life (shoe size 9 to 6) that is in love with fashion or you simply want to give her a way to show off her uniqueness, head over to Bobbi-Toads to see if these distinctive shoes and stickers are just the thing to make her wardrobe her own! 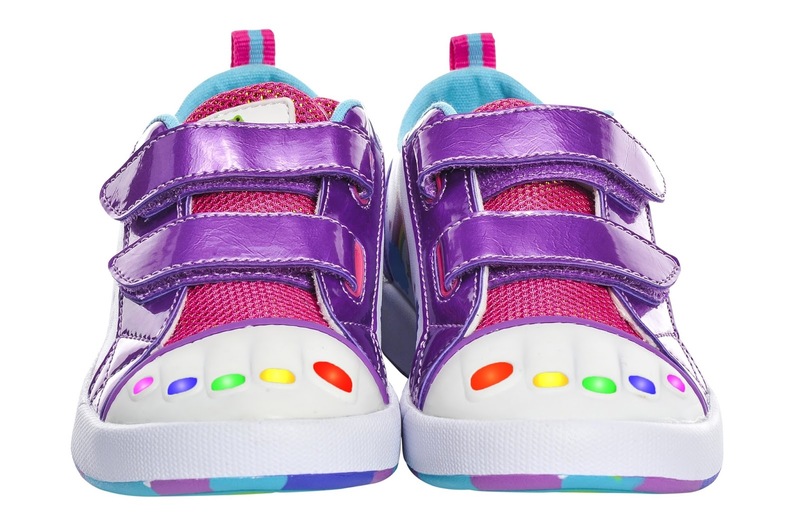 Find out much more about these colorful toe shoes by visiting BobbiToads.com (and connecting with them on Facebook and Twitter) and look for Bobbi-Toads Light-Ups in stores, including 25 Shoe Dept. Encore locations, now. 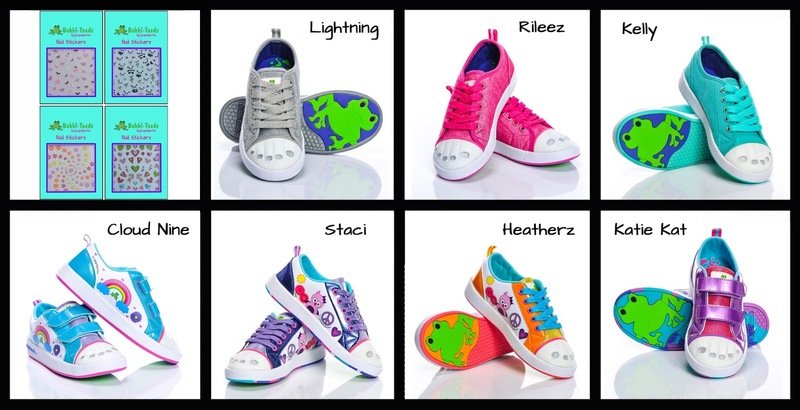 Plus, as a special treat, if you purchase a pair of Bobbi-Toads Light-Ups during July or August at Shoe Dept. Encore and send in a picture of your store receipt, they will mail you two packs of Bobbi-Stickers! Not near a Shoe Dept. Encore location? No worries, simply enter the promo code THANKSMAIL when shopping at BobbiToads.com and you'll receive 20% off + free shipping until August 31st! I was provided a pair of Bobbi-Toads Light-Ups in exchange for posting this information but all thoughts and opinions expressed are honest and my own. do they sell at target or Walmart? I'm always looking for adorable shoes for my kids!! I have several nieces who would absolutely love these shoes! Those shoes are way cool! Love the light up ones. These shoes are so adorable, and my niece would love to have a pair of these to wear this summer. The light up shoes are what she would love!! I like the velcro closings. My kind of shoe. My niece would love some of these shoes. These are so cute. My youngest granddaughter would love these. I wish they made them in big people sizes.